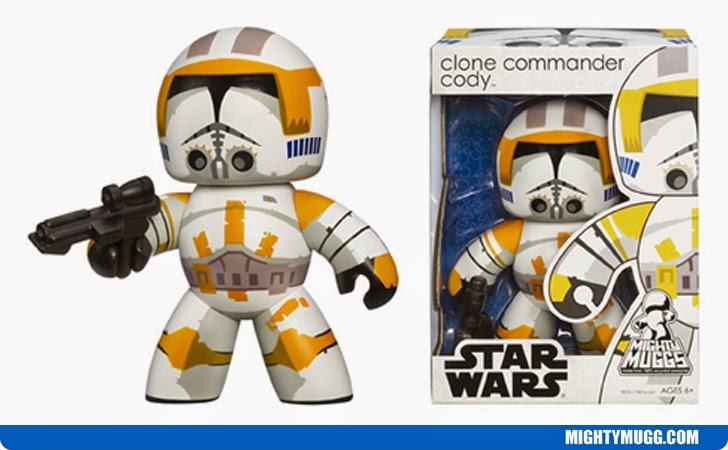 Clone Commander Cody a.k.a CC-2224 was a Clone Marshal Commander of the Third Systems Army under the command of Obi-Wan Kenobi during the Clone Wars. He first appeared in the film Star Wars: Episode III - Revenge Of The Sith in 2005. Actor Temuera Morrison portrayed the character in the film. The Mighty Mugg above portrays him in his clone armor.